Have a business, and need a fiscal boost to get the money ball rolling? Getting a small business loan is easier than you think. Our business loans are the next step in your success story. In a world where change is constant and growing in complexity, there is one certainty: your business needs capital to grow. It can be challenging to get financing. That’s why Certified Business Loans offers diverse solutions suited to your business. We work with you to find the financial fit for your business, with a customized business loan. Not sure what loans best fits your unique needs? No matter what type of business you own, we’re available with instant approval processing upon completion of your application. We have fixed and flexible repayment options. Our loans allow you to keep a positive cash flow so you can stay focused on more important things, like running you business. Business equipment loans, inventory loans, emergency business loans, expansion loans, or cash flow loans. QC offers a variety of options to help secure your success. Certified Business Loans now offers a variety of loans ranging from $5,000 to $250,000. Loans under $20,000 can be approved in as little as an hour while those over can be completed within a single business day. Loans ranging from $20,000 to $250,000 through leveraging future sales can be available within 5 short days. Funding your business shouldn’t be a full time job. That’s why Certified Business Loans are the #1 choice for small businesses. CertifiedBusinessLoans.com provides small businesses nationwide with working capital. We’ve been providing loans to small businesses like you for 5 years. 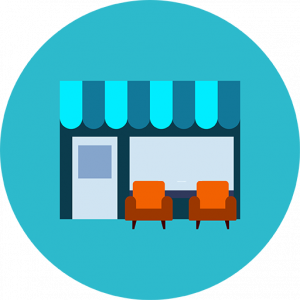 An application for a small business loan from Certified Business Loans can be reviewed in less than 24 hours. Once you are approved, you’ll usually get your funding within seven to 10 days. If you decide to go with a traditional bank loan versus our merchant cash advance, it can take several months to get your money. When you need immediate working capital, Certified Business Loans‘ fast and flexible programs have a distinct advantage over a complicated bank loan. Certified Business Loans just attended the 8760 meet and greet with NBA All-Star Steph Curry. Steph Curry was running a basketball clinic for kids in the New York City area. Shawn Haber – CEO of Certified Business Loans is proud to Support 8760 EXPERIENCES. Securing a certified business loan can do a lot of good for your up-and-coming company. It can help you move forward with more ease and confidence. This can be useful to business owners who want to save considerable amounts of time. Certified Business Loans can also make things straightforward and simple for borrowers. That’s because they don’t usually require overwhelming amounts of time-consuming paperwork. These loans have terms that are basic and easy to understand. That can mean the world to business owners who just want to get things going. Options in certified business loans are truly abundant. Business owners can choose between inventory loans, equipment loans, cash flow loans and expansion loans. They can opt for numerous certified business loans at the same exact time if they want. They can sometimes even focus on emergency loans. Certified business loan amounts run the gamut as well. Some are as low as merely $5,000.00. Others, however, are as high as $250,000. Loan amounts depend on many diverse factors. They depend on business’ specific goals and objectives. They depend on business owners’ financial backgrounds and capabilities as well. Business owners should always aim to find certified loans that are 100 percent ideal for all of their aims and aspirations. Certified Business Loans uses your seller history and reviews to figure out how much money it should give you. We will customize a loan based on the amount of cash your company needs, and the term length you want. Contact us for a fast and free quote!